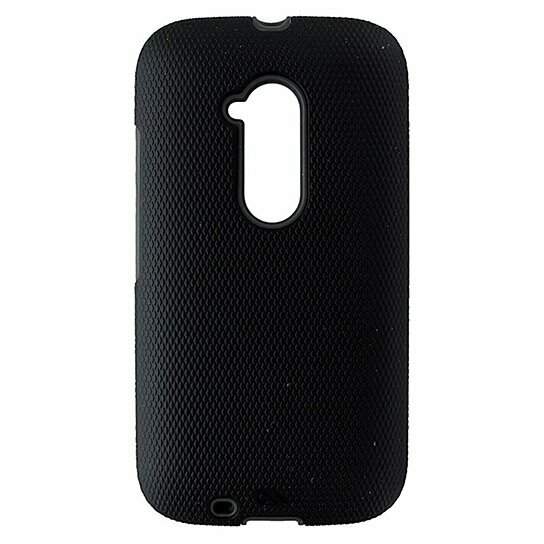 Case-Mate Tough Series Dual Layer Case for Motorola Moto E (2nd Generation). Textured Black finish with an all Gray interior layer. Enhanced Grip, Slim Profile, Metal button accents.